I noticed this article the other day on a blog I follow, here. 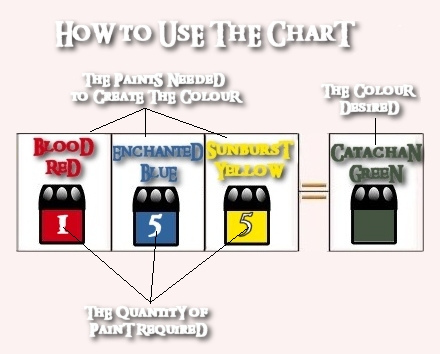 It reminded me of the article and the pictures that used to be posted on the LoTR page. 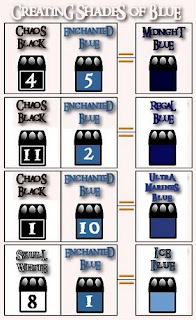 I had saved the pics but simply forgot all about them until now. So…. 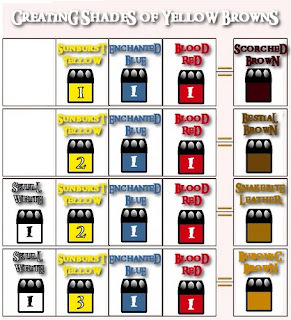 All you need is these 5 colors and an eye dropper or a stirring stick to take out single drops. 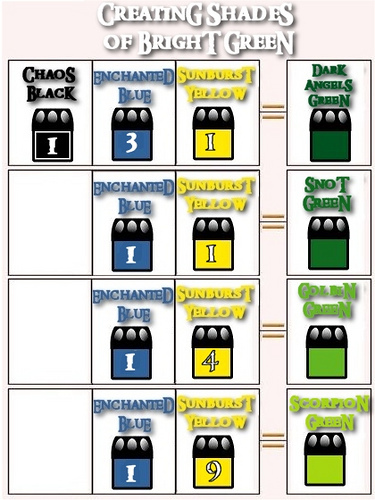 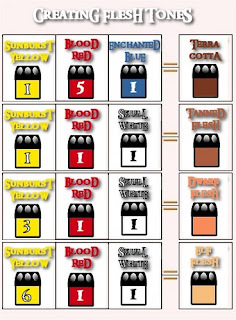 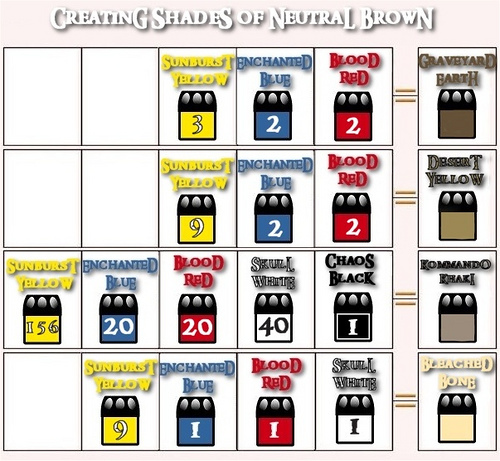 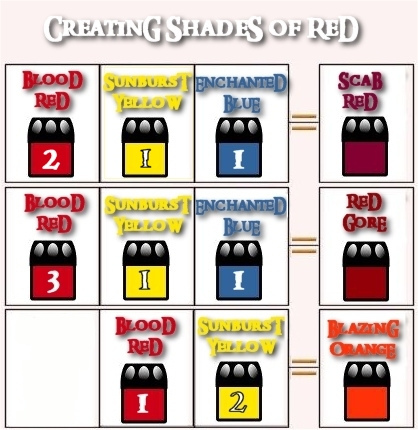 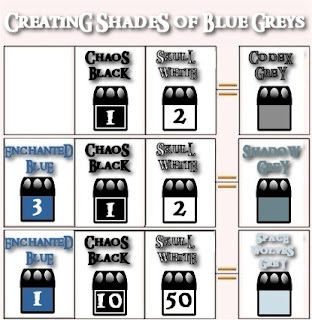 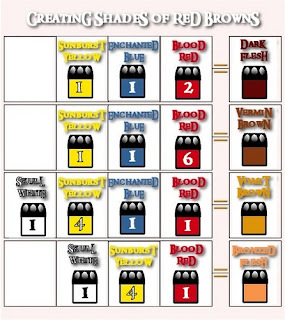 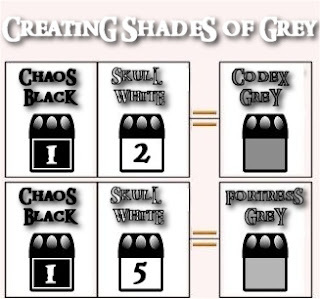 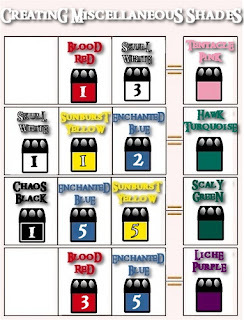 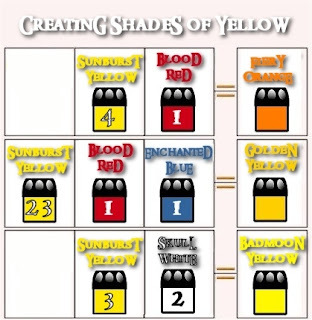 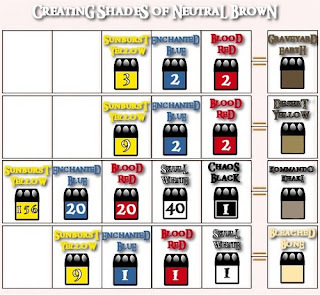 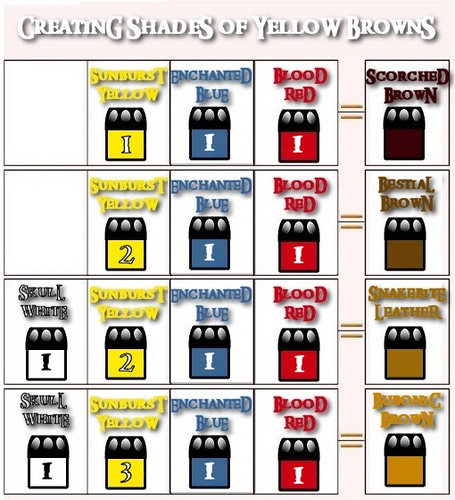 I hope this helps those out there that simply don’t have all the colors made. 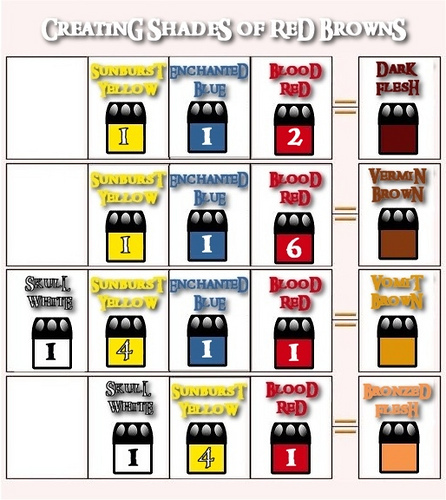 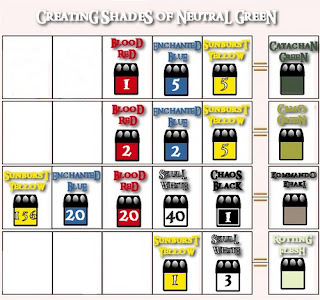 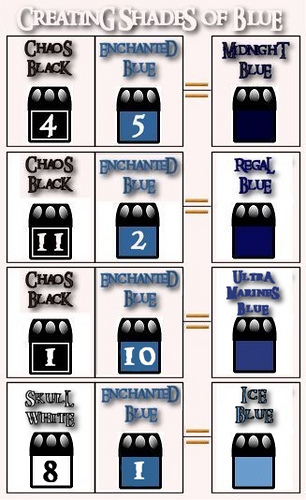 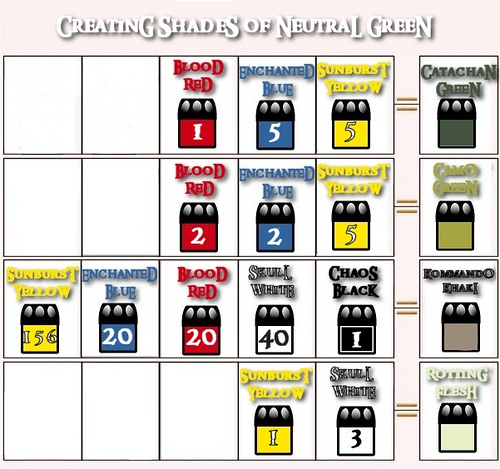 It is also a huge help to those that use colors that GW has discontinued, such as Tentacle pink and many others.